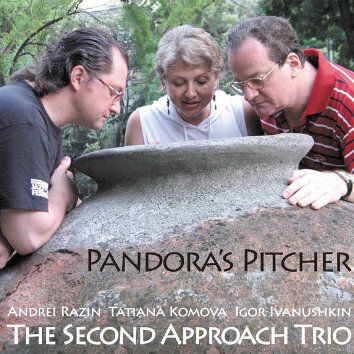 The Second Approach is a super trio from Moscow which throw a gauntlet to any vocal trio anywhere in the world. The first CD by this trio, "Event Space,"" released by Leo Records in 2010 created quite a stir - it was mentioned among the best CDs of the year by All About Jazz. On this CD you will hear a vast variety of moods, styles and sceneries, from conventional jazz harmonies, staggering, sweaty march and grotesque rag to minimalistic meditations and expressionistic sobbing, wailing, gurgling - dank, sinister and fascinating at the same time. Dizzying Andrei Razin (piano), reliable Igor Ivanushkin (bass) and daring Tatyana Komova (voice) make something extraordinarily musical, intelligent and gifted. It's a pure high day for one's sensations and wits. This trio should be seen live, for wherever they perform they literally raise the roof.